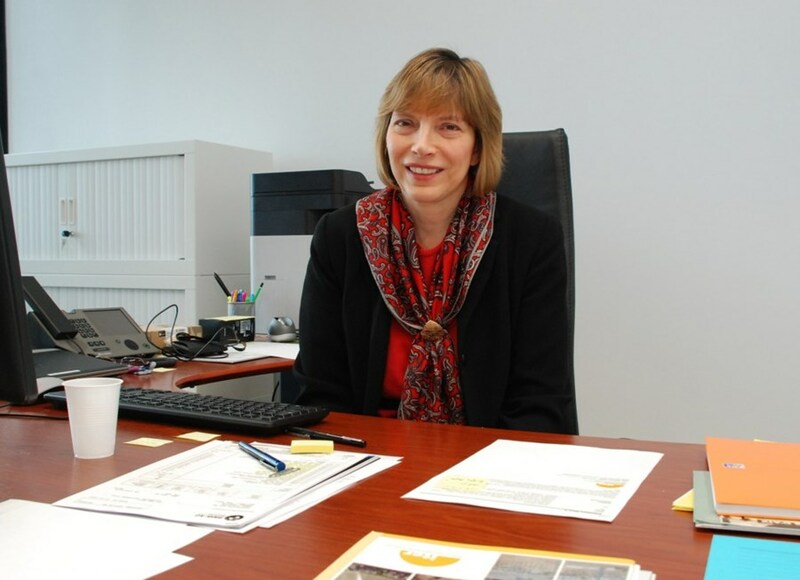 New Director for General Administration Mary Erlenborn is no newcomer to the ITER Project. Some 22 years ago, in 1992, she joined the ITER team in San Diego where she directed the Joint Work Site's multi-faceted business office activities. This week, the ITER Organization welcomes Mary Erlenborn who is taking up duty as the new Director for General Administration. For Mary this will be a sort of déjà vu: some 22 years ago, in 1992, she joined the ITER team in San Diego where she directed the Joint Work Site's multi-faceted business office activities, including procurement, budgeting, reporting, facilities and resource management. During those days, the ITER Project was taking shape during what was called the ITER Engineering Design Activities phase. There were three ITER Joint Work Sites distributed around the globe—Garching, Germany, with almost 70 staff; Naka, Japan with 80 staff at its peak; and finally San Diego, with more than 90 employees. When the San Diego site closed in 1999 it was Mary who returned the facility keys to the landlord. "That was a sad moment," Mary recalls. "Those seven years were a very special time in my life. They have left a warm spot in my heart." Mary's career has taken her from her hometown of Dwight, Illinois, to Chicago and then to California where she worked as an audit manager for Deloitte followed by 17 years with the Science Applications International Corporation—a ten-billion-dollar Fortune 500 scientific, engineering and technology applications company. Until her appointment as head of General Administration for the ITER Organization in France she served as the Chief Financial Officer for the San Diego Data Processing Corporation. Now she's about to open a brand-new chapter as she and her husband Tom are beginning a new life in old Europe. A few weeks ago she spent a couple of days at ITER Headquarters to breathe the French air, to introduce herself to staff and to get prepared for what she calls "a big challenge." "I know it is not going to be a smooth ride," she says. But having spoken to a lot of people during her two-day visit she feels confident. "I am very impressed by everyone's knowledge and commitment, and by their desire for success. And success is what we need. I am an environmentalist! We need solutions besides fossil fuels!"